Nikos Vertis is one of Greece’s most popular performers and when he decided to invest in an audio and lighting rig for his performances, DiGiCo’s SD5 digital mixing console was top of his wish list. "Nikos and his Front of House engineer, Akis Eleftheriadis, first saw the SD5 at its ProLight+Sound launch last year," explains Pandelis Kariotis, general manager of Kariotis Audio & Lighting, DiGiCo’s Greek distributor. "Nikos was fascinated by the flexibility and capability of the console. He wanted to buy a product that is world-class, but he’s very demanding and wanted to test the desk out in live conditions so that he could prove to himself that it was everything we were claiming." 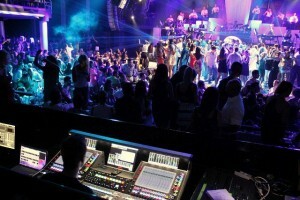 Pandelis arranged with DiGiCo for a demo console to be made available for one of Nikos’s performances in Athens, so that it could be tested under like conditions. 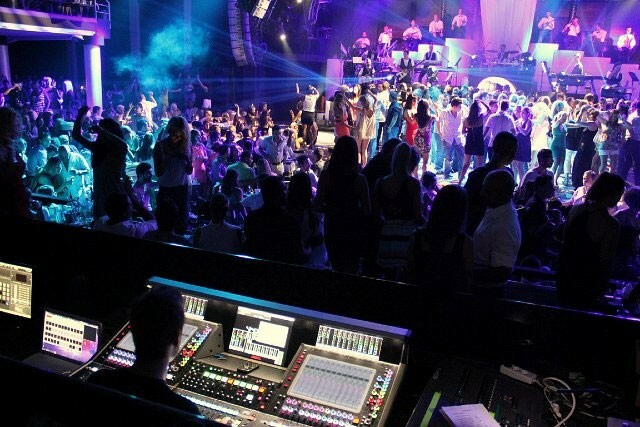 "Dan Page from DiGiCo came to Greece to provide technical support," Pandelis continues. "He worked with Akis Eleftheriadis, suggesting the right combination for the needs of the venue and an SD5 for Front of House with an SD10 for the monitor position was settled on." With 23 musicians on stage, the SD5 ran a total of 80 inputs, with the SD10 handling 32 channels of personal mixes and eight stereo mixes for in ear monitors. The two consoles were connected via Optocore to DiGiCo SD Racks running at 96kHz. "There was a very clear difference with the SD5 when compared to the previous console that was used," concludes Pandelis. "Both Nikos and Akis are amazed by the flexibility, quality and speed of the console and are very happy with their decision."